May 5, 2018 at 3:28p.m. Theft: A man whose company recently bought an East Liberty Street residence via an estate sale noticed a $3,000 oven had been stolen. Theft: A man discovered 60 prescription pills were missing after they had been delivered to his Reed Court home. Citation: A traffic stop on U.S. Route 422 led to a minor-misdemeanor citation charging Terrance J. Shilling, no information given, with having an open container of alcohol in a motor vehicle. Domestic violence: A 13-year-old Girard boy was charged with the crime after his mother alleged he had grabbed his brother’s left arm during an argument between them. The teen also pushed her and threatened to kill everyone in the residence if the mother made good on a threat to get rid of the boy’s pet because of his behavior, she further alleged. Criminal mischief: A door to a building in the 700 block of East Liberty Street was scratched and chipped. Assault: Officers responded to a reported altercation between family members on Earl Street, where a man alleged a woman had pushed him in the chest. Drugs: After stopping his car on North State Street, police charged Marion G. Williamson, 31, of Third Street Southwest, Warren, with having a small bag of suspected marijuana. Arrest: Authorities took Thomas M. Milligan III, 37, into custody at his East Prospect Street residence upon learning that the Girard man was wanted on a Trumbull County 911 center warrant. Harassment: An Earl Street man alleged his brother-in-law sent him a threatening, profanity-laced Facebook message. Trespassing: After pulling over their van on West Liberty Street, police filed criminal-trespassing charges against Ashley L. Kirol, 21; Samantha A. Kirol, 24; and Cheryl L. Camelli, 53, all of East Florida Avenue, Youngstown. Before the traffic stop, an officer had spotted the vehicle on private property near a viaduct off Carlton Avenue, a report showed. Drugs: Police were drawn to suspicious activity in the 400 block of Elruth Court, where they charged Tre Von Cato, 25, of Elruth Court, Girard, and Justine K. Tondy, 29, of East Liberty Street, Girard, with possessing drug paraphernalia and having an open container of alcohol in a motor vehicle. A bag of suspected marijuana and a bowl containing raw and burned marijuana were found, authorities alleged. Theft: A Church Hill Road woman found out her stolen debit card was used to make a fraudulent $400 purchase. Theft: A Trumbull Avenue man told officers a $600 speaker had been removed from his wife’s vehicle. Arrest: Authorities in the 40 block of North Main Street arrested Shaun X. Cook, 32, of Lewis-Seifert Road, on one felony count each of receiving stolen property and possessing criminal tools as well as possessing drug-abuse instruments, a misdemeanor, after alleging the Hubbard man admitted having committed four burglaries, three of which took place in the township and from which jewelry and a firearm were stolen and later sold. Also found were two suspected crack-cocaine pipes, a report stated. Assault: Officers answered a disturbance call in the 600 block of Burdie Drive, where a Warren woman alleged another woman swung at her near the front door and caused the accuser to nearly fall down a flight of steps after she had arrived to pick up her 3-year-old daughter. Theft: A West Liberty Street man told police a woman he had met on a website scammed him of $18,000. Criminal damaging: A Stewart Avenue man noticed all of his vehicle’s tires had been slashed, along with two on his Jeep Cherokee. Damage was estimated at $2,000. Domestic violence: Thomas A. Wargo of Fox Street, Hubbard, was charged after his fiancée alleged that during a heated argument, Wargo, 25, used physical force against her, though she wasn’t specific. The victim had extensive bruising to her arms, back and legs, the report said. Assault: Charges were pending against a 19-year-old Hubbard man after a woman alleged he had struck her three or four times in the face at her East Liberty Street residence regarding money she supposedly owes another person. Assault: A Hubbard High School official had officers review video footage that reportedly showed two students in an altercation wrestling with each other. Recovered property: A Hubbard High School official handed to police a vape pen he apparently recovered from a student. Theft: A Richards Drive woman reported a safe with four handguns was missing from the garage. Theft: A Campbell woman alleged a Logan Arms Drive man, 52, who has prepared her income taxes stole her $6,630 refund and placed most of it on a money card instead of depositing it into her bank account. Theft: Eugene P. Livi, 74, of Lawrence Avenue, Girard, was charged with stealing $154 worth of groceries from Giant Eagle, 4700 Belmont Ave.
Robbery: Two officials with Walmart, 200 Goldie Road, told police a man whom they had confronted in a shoplifting situation threatened that he had a concealed-carry permit, causing them to back away, before he fled on foot. Theft: A regional manager with Rent One in the Liberty Plaza alleged three former employees likely stole about $2,960 worth of inventory from the business. Theft: An Oak Forest, Ill., man staying at a Belmont Avenue motel discovered clothing, hand tools and jewelry were missing from his work truck. Aggravated menacing: A North Gate Road woman told officers a group of people came to her residence and threatened her, one of whom waved a handgun around. Arrest: A traffic stop near Monticello and Mill Run drives resulted in Cheryl A. McKinney’s arrest on a charge of operating a vehicle impaired. 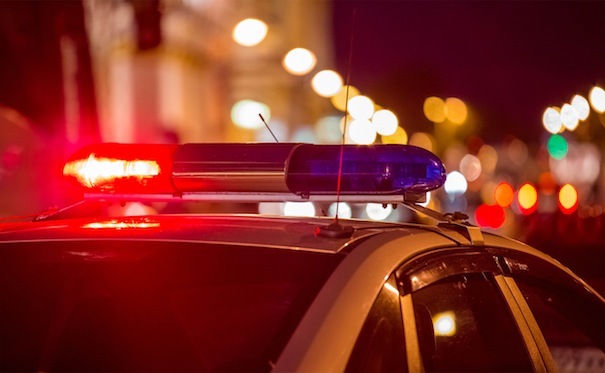 McKinney, 62, of Jefferson Court, Youngstown, registered a 0.130 blood-alcohol content, which exceeds Ohio’s 0.08 legal intoxication limit, a report stated. Theft: A teacher at a Pleasant Valley Road school found out that the catalytic converter had been stolen from his vehicle. Criminal damaging: A window to a building in the 4500 block of Belmont Avenue was shattered, resulting in a $475 damage estimate. Drug paraphernalia: A traffic stop near Gypsy Lane led to the arrest of Winnia L. Banks, 35, of Gypsy, on a charge of possessing drug paraphernalia. Banks, who also was wanted on a felony warrant charging her with being a fugitive from justice, had in a cigarette pack two suspected crack-cocaine pipes and a scouring pad common in drug use, a report showed. Theft: Authorities charged Eric L. Lofton, 44, with theft after alleging Lofton, of Alameda Avenue, Youngstown, had stolen about $24 worth of merchandise that included beer from Walmart. Theft: A woman reported a surround-sound system and a DVD player stolen from her Green Acres Drive apartment. Arrest: Tiera L. Tomlin, 23, of Woodhurst Drive, Austintown, faced charges of operating a vehicle impaired and marijuana possession after police had stopped her vehicle in the 4000 block of Belmont Avenue. Tomlin’s blood-alcohol-content results were incomplete at the time of the report, authorities said. Theft: A 14-year-old boy reportedly admitted having taken his mother’s credit card and using it to buy a phone before she discovered about $115 worth of unauthorized transactions. Criminal mischief: Someone in the 1000 block of Goist Lane entered a Jeep Wrangler, in which contents from the glove compartment were found strewn about. Theft: A Sunny Drive man reported a 9 mm handgun had been removed from a gun case in his car. Trespassing: A Keefer Road woman saw that her vehicle had been entered and ransacked. Auto theft: A 2011 Ford Fusion was stolen from the 400 block of Catherine Street. Arrest: The Ohio State Highway Patrol handed Keiondre W. Black, 23, to township police. Black, of Lexington Avenue, Youngstown, was wanted on a probation-violation warrant. Criminal damaging: The front and rear doors to Sprint Store, 4501 Belmont Ave., sustained damage. Arrest: Police in the 2700 block of Belmont Avenue picked up William T. Craft, 23, of West LaClede Avenue, Youngstown. He was wanted on a township warrant. Criminal damaging: A woman noticed damage to her garage door, evidently by someone who had tried to enter her Logan Way residence. Arrest: Authorities were dispatched to the Mahoning County jail to book Deandre D. Madison, 21, of West Warren Avenue, Youngstown, who was wanted on a domestic-violence charge. Theft/criminal damaging: Someone apparently used a blanket to climb over a barbed-wire fence surrounding a Gypsy Lane tow yard, then used a rock to break a vehicle’s window and steal a jug of money. Weapon/drugs: Police responded to suspicious activity at a Belmont Avenue gas station and charged Armintha Collier, 40, of East Judson Avenue, Youngstown, with carrying a concealed weapon and improper handling of a firearm in a motor vehicle, then issued her a minor-misdemeanor citation charging marijuana possession after alleging a loaded .40-caliber magazine, a box of 9 mm ammunition and a handgun for which she had no concealed-carry permit were found. Also taken into custody was Aaron Hubbert, 43, of Delaware Street, Youngstown, on a charge of operating a vehicle impaired. A summary of recent criminal activity in Hubbard, Girard and Liberty.